No one loves Lana Del Rey like Protoje loves Lana Del Rey. The Jamaica native can name each of her albums, and will readily discuss his favorite moments of the New York songstress' career. Nevertheless, Lana Del Rey is an unusual choice for a hip-hop-influenced reggae artist slowly eclipsing the success of Jamaican artists before him. He's the first to admit very few are familiar with the nostalgic singer in Jamaica, despite the controversy she's incited with lyrics often glorifying domestic violence, drugs and guns. I mention this critique to Protoje, and Del Rey's response: to double down on her vision. "She don't care," he responds, laughing. "She's like a movie, she's a throwback, she's cinema. You know what I mean? She's just... cinema." Oje Ken Ollivierre also hopes to be cinema and in reality, the 37-year-old already kind of is. The son of a Calypso king and a chart-topping Jamaican singer, Protoje was music royalty long before he picked up the mic — but he's by no means resting on the laurels built by his predecessors, be they genetic or those who paved the path for Jamaican musicians to go global. The singer's career now spans 10 years, taking off even prior to the recent popularity of dancehall, which has since only widened the door for emerging Jamaican talent. His international fame also preceded social media — a platform that many rising global creatives have to thank for connecting them to legions of fans, eager for something fresh. The title of Protoje's fourth studio album out this month, A Matter of Time, seems to only further speak to this: it was a matter of time before we learned Jamaica's potential to pervade pop culture extended beyond Bob Marley, Sean Paul or Shaggy. Naturally, it went straight to number one. "I think I'm in a good place right now," Protoje says. "[Fellow Jamaican artist] Chronixxx and I have good core fans, that actually love us, that aren't aren't about like, 'Oh, he has a hot single on the radio,' or 'It's trending.'" Unfortunately, like Rihanna to Barbados, or Lorde to New Zealand, it has proven tough for up-and-comers to skirt comparisons to the megastars with whom they share a small nation as a birthplace — and Jamaica produced one of the brightest of all time. The enormous success of Bob Marley has remained the ceiling of success for Jamaican creatives, casting a shadow that's not easy to step out of. Although, precedent can be great fuel for aspiration: "It was always a goal to look at Bob Marley performing for 70,000 people in Rome like, Okay, he's just a guy from Jamaica, so maybe I can do the same thing as well." Protoje says achieving success can be a challenge because there's little support for his genre. "We're always kind of in the shadow of an era when it was a major support system." Protoje says, referencing Marley's belonging to major label, Island Records. "Then Jamaica plays a part in it too, cause you come to a resort in Jamaica and all the music you hear playing through the hotel is Bob Marley and Island. You don't hear current music. Even our own country." Perhaps another reason for the lack of airtime is the purists — those unable or unwilling to accept the next generation of reggae. But for every naysayer asserting artists like Protoje or Chronixxx aren't adhering to the pillars of the genre, are many more reminding them that Marley himself was critiqued for his pioneering album Exodus. Lil Wayne birthed Young Thug, and from Young Thug came Lil Uzi Vert, and from Lil Uzi Vert, Lil Xan and so on. Protoje explains that hip-hop and reggae are two genres so rooted in the cultures that created them, that purists of each era will never be able to truly accept a new sound. "It's so culture-oriented and that's so revered by the culture, and it helps people so much — it's not just like dancing in the club — that people get so passionate," he says. "The thing is just sonically... I don't want to sound like I'm in 1985. I believe that when people look back on this decade, they'll see Protoje and say, 'That, that's so authentic.' You know what I mean? And then they'll tell the youth, 'Yo, they're not making music like Protoje and Chronixx used make.'" Authenticity seems to be a hot topic when it comes to the Jamaican sound. With the country's rise in the global cultural consciousness has also given rise to concerns of appropriation: How should native Jamaicans feel to hear Canadian-American Drake sing "Don't go running back to your ex, he's a wasteman," or when London Grime artists adopt the phrase "Turn up di ting" into their vernacular? The popularity of patois (as made by non-Jamaicans) is something Protoje himself has often considered. He says that he respects many of the American artists who, in exchange for adopting aspects of Jamaica's music culture in their own work, attempt to "put on" the country's emerging acts. Protoje will make it on his own, or not at all. "People from Jamaica look at [California-formed reggae bands] and are like, 'It's like cultural appropriation,'" he says. "I don't look at it like that, because they help me to help a scene in the West Coast. And if I use that scene to tour America and some 16-year-old American kid comes to the show, thinks it's dope, then becomes the biggest hip-hop artist in America using Jamaican slang... You have to appreciate that you put it out there for people to be inspired. I don't think it belongs to us. But we want to be performing on television, we want to be getting the support that these artists get using our kind of style or slang. At the end of the day, though, I'm not begging for no handouts, ever. We make our own way." And make it he has. Californians can expect to see Protoje to be a summer staple; he has shows lined up at the Hollywood Bowl and across the region this summer, before heading to the U.K. to perform alongside Kendrick Lamar. After a decade in the business, he's earned it, but that doesn't mean the hustle lessens. The singer says he's been forced to now adapt to a new type of music industry: welcoming the arrival of the streaming generation, and observing how radio stations and media outlets increasingly value numbers — be they on social or on listening platforms — over an artist's perceived talent. The singer finds it difficult to veil his frustration when he claims these gatekeepers aren't "even listening to the content," and have subsequently created a era in the industry where "image is everything. It's more perception than fact." Perhaps, but as the Jamaican himself notes, perception can only last so long because real talent has to bolster the hype. He acknowledges his own sound has evolved just as drastically, describing the transition as vacillating between reggae and island, before introducing a hard-hitting beats, and hip-hop, rock and country influences. This latest album, he claims is a "real bonanza," and he's right. Protoje, who envisions himself a second-life as a screenwriter, insists his goal is to make music "like a movie," and A Matter Of Time is certainly cinematic and as great a testimony as any to new-age reggae. The album is a melting pot of different narratives, beats and melodies, just like, one might say, the sound of Lana Del Rey. "Oh, but I can't be Lana Del Rey, though," he laughs, when I remind him of his idol. "I'm not fly enough." Says who? 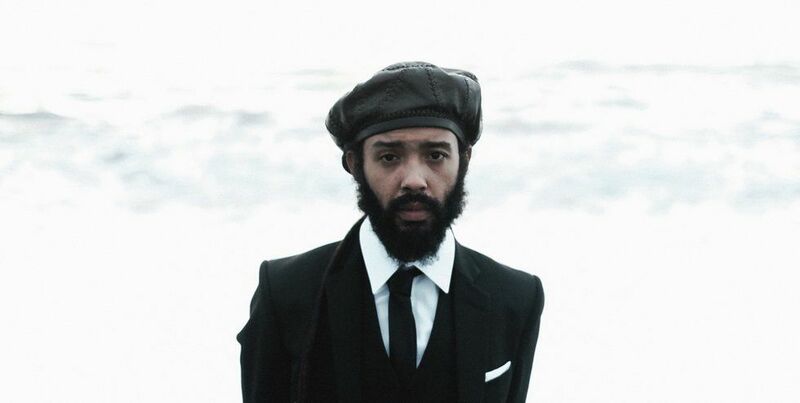 Stream A Matter of Time by Protoje, below.